One of the most exciting things about traveling is journaling your trip with photos. 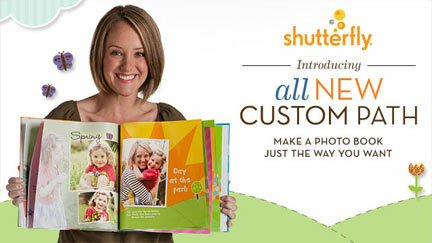 Do you ever wish you could turn your own digital travel photos into a keepsake travel photo book? 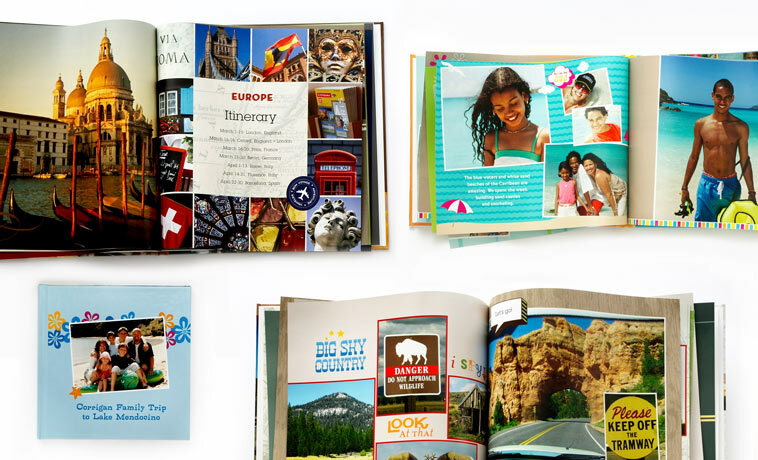 Preserve your photos from your favorite family vacation, a monumental birthday cruise, the holidays or that once-in-a-lifetime trip abroad, all with unique travel photo books from Shutterfly. With a variety of themes, layouts, background designs and options to choose from, you can create online travel photo albums and personalized vacation photo albums that will last a lifetime. A travel photo album that is professionally bound, simple to create, and truly customizable for every destination will be a time-treasured item. Nothing makes an exotic travel destination look more alluring than a brilliantly captured photograph. From the most spectacular beach vacations to the holidays at Grandma’s house, you can preserve forever every moment you shared together in a travel photo book from Shutterfly. Before you get started on your vacation photo album, make sure you plan ahead to ensure an exquisite layout. Whichever trip you are documenting, make sure your photo book will tell a story. You should edit down the number of photos you plan on using to the best ones, or those that will essentially tell your story. Don’t try to add too many photos to one page or they may just get lost in translation – be sure to give your pictures a little breathing room. Variation is the key – change it up a little by having one photo on a page, followed by a page that has three or four photos. Throughout the book, you will want to reconfigure the layouts, so each page is visually pleasing to the viewer. Prepare for your next trip with a custom luggage tag from Shutterfly. Personalized luggage tags let you keep track of your belongings with ease and personal style. They also make a great gift for the jet setter in your life. Next time you head out on a family vacation, spend some quality time putting together a unique photo puzzle. Create something fun and interactive from your travel photos. Puzzles also make unique personalized gifts for newlyweds, kids, teens and anyone who loves a good puzzle. Looking for a home décor gift idea? Turn your favorite photos into beautiful artwork. Check out our wide variety of stylish art prints, sure to brighten any space in the home. Available in different sizes, layouts and designs, art prints from Shutterfly make a great photo gift, as there is truly something for everyone.